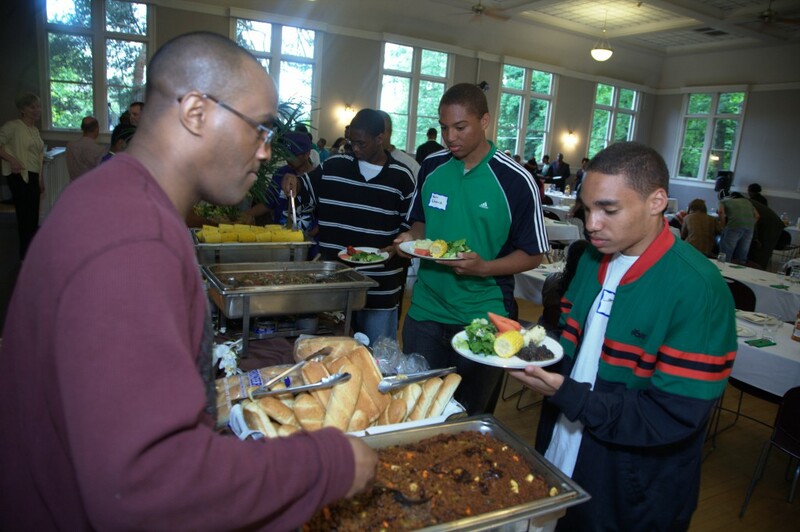 Youth attend a “Youth Hip Hop Green Dinners” where they enjoy performances by hip-hop artists and their first vegan meal! When his grandmother died from diabetes, Ashel Eldridge, a 32-year-old Oakland-based educator with the Alliance for Climate Education, set out to educate himself about healthy eating. A Green For All fellow, Eldridge has combined his food knowledge with community organizing skills picked up from working with Alli Starr and Van Jones. “I started realizing that juicing was a way to get the Earth to the people,” he says. To reach the community, Eldridge takes his message directly to the streets by teaming up with Phat Beets Produce. “We’re on 35th and San Pablo and we’re serving juice,” he says. “Some people are spitting it out and they’re like, ‘this is garbage, you need to put more sugar in it,’ and so we have a conversation with them.” Eldridge says they “tell them what’s in it and why we didn’t put sugar in it, and really have an educational moment with the people.” Eldridge—who’s also the cofounder and health and sustainability coordinator of United Roots, a green-focused youth community center—isn’t just giving boring nutritional lectures. “We do it with hip hop, we do it with culture,” he says. Continue reading the full article at Good.is!